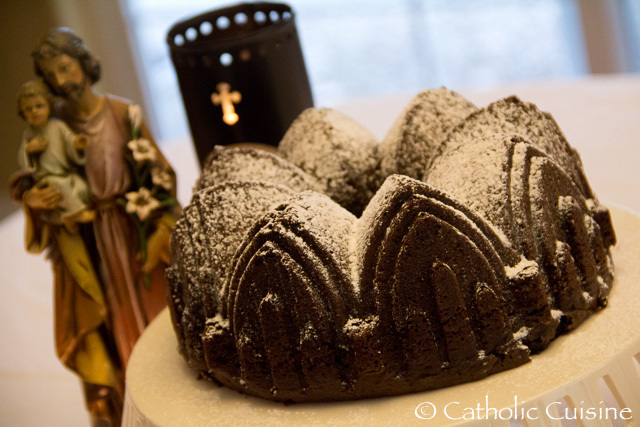 This recipe was submitted by past Catholic Cuisine contributor Amy. 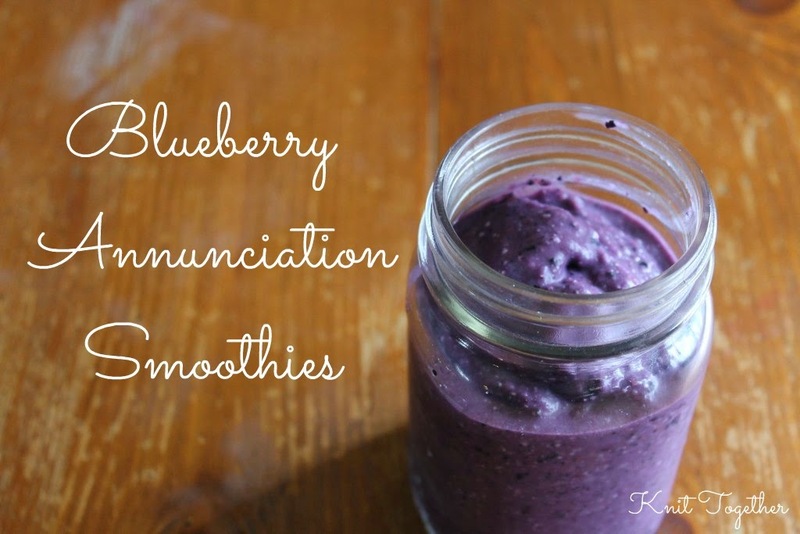 You can find additional pictures of her cute children enjoying their Annunciation Smoothies over at her blog, Knit Together. I thought I would share this with you super quick. It is an easy way to whip together something special for the Feast of the Annunciation today. I did a dairy free version, but you can replace the canned coconut milk with yogurt and the almond mil with regular cow's milk if you prefer. 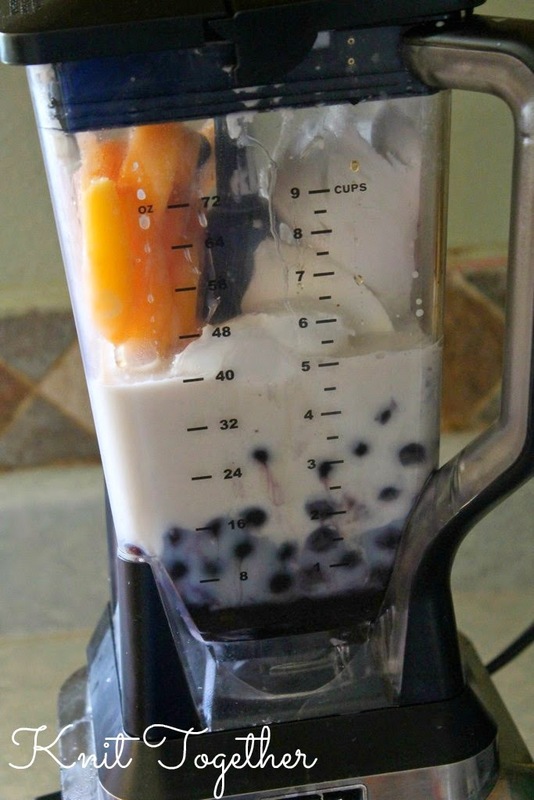 Put the frozen fruit in blender. I use peaches too because blueberries can be a really strong flavor and some people, especially kids, might not like it. Next, add the canned coconut milk (this will make it thick and creamy) and sweetener. At this point you want to pour in the almond milk. I do this by eye. 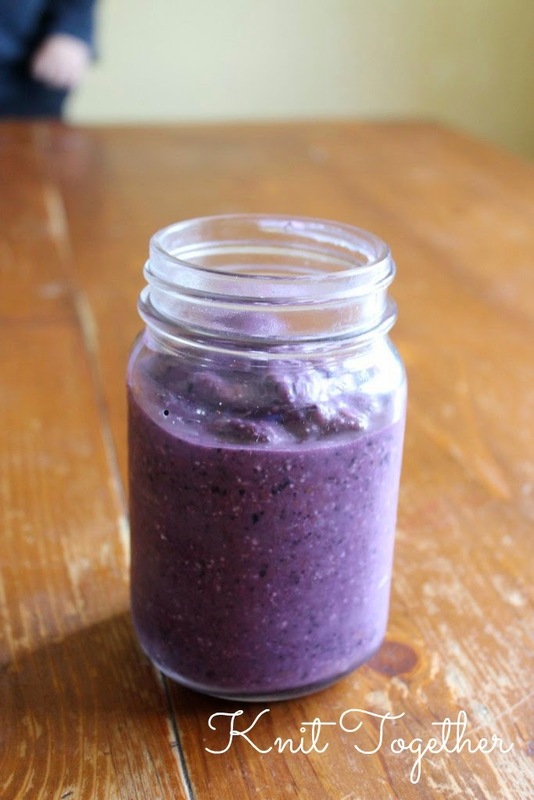 Depending on how thick you want your smoothie, you will want to fill the blender halfway or up to covering the frozen fruit. If you need more almond milk, fruit, or sweetener feel free! Make it to your taste. Additional recipes for the Solemnity of the Annunciation can be found in the archives.